Lakewood Invisalign offers you a way to improve your smile, but without anyone knowing. Sound to good to be true? Listen up! Gone are the days when metal brackets and wires were your only option. This innovative millennium offers you invisible braces with Invisalign technology. The unique ClinCheck® software allows our Invisalign patients to see their treatment plan from beginning to end even before the start of treatment. Learn why more than 4 million patients worldwide have been treated with Invisalign. The number of Invisalign smiles is growing daily–your smile could be next! A smile should be shared. Always. Belmar Orthodontics doesn’t want your orthodontic treatment to ever discourage you from sharing your beautiful smile–no matter what stage you are in the process. We want you to be comfortable with your smile throughout the process of straightening your teeth. For some patients, this means that they need a method that doesn’t rely on wires or brackets during treatment. Whether you are a working professional that needs to retain a more invisible orthodontic appearance, a youth who is shy to share smiles if wires are involved, or an adult who is looking for my subtly, Invisalign is for you. The Invisalign clear, removable aligners system gradually moves your teeth into their proper position without the drawbacks of metal braces and brackets. When you select Invisalign® to correct your smile, no one else has to know! How Does Invisalign Treatment Go? The first thing we have to determine, is if you are a candidate for Invisalign. This determination will occur during your initial assessment with Dr. Hardy. If you are a good candidate for Invisalign, we will take an impression of your teeth so that a set of customized, clear aligners can be made and sent home for you. These aligners will be worn for 20 to 22 hours per day for 2-3 weeks and then you move on to the next aligner in the series. This process gradually shifts your teeth into their correct position. The number of aligners you will need for treatment, and the time of your treatment is determined by your particular needs and your dedication to wearing your aligners. On average, Lakewood Invisalign patients need 18 to 30 aligners for a period of 9 to 15 months to achieve their desired results. During your treatment, you will meet with Dr. Hardy periodically to ensure your Invisalign® treatment is working successfully. Most patients usually do not experience any significant pain or discomfort with Invisalign which is, yet, another reason why this treatment option is so popular today. 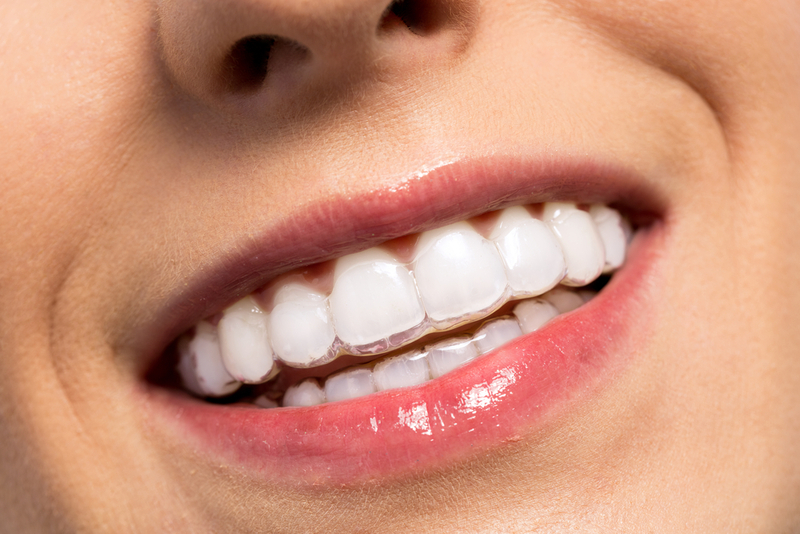 Selecting a provider for your Lakewood Invisalign services should meet certain criteria. Take the time to find someone who you can trust to give you the best treatment possible. While many general dentists may offer Invisalign as part of their treatment options, their office isn’t dedicated to daily, orthodontic treatment. We are. The experience this offers us over our competition cannot be ignored. In addition to this, orthodontists spend two to three additional years after graduating from dental school to earn advanced education and training in a specialized orthodontic residency program. Dr. Hardy received his specialty degree in orthodontics. Orthodontics focuses on correcting misaligned teeth, adjusting occlusion (the way the teeth fit together), and treating jaw disorders. We are trained to offer these expert results. Belmar Orthodontics has state-of-the-art facilities with the most recent advances in dental science. We are dedicated to helping you gain the results you want, the way you want them. If you would like to learn more about Lakewood Invisalign, or if you would like to schedule a personal consultation with Dr. Hardy, please contact us today at: 303.225.9016.